Considered the most illustrious and opulent castle in all of France, Palace of Versailles exemplifies the most beautiful achievements of French art in the 18th century. This former seat of royal power now chronicles the country's past as a museum of the history of France. On your exploration of the numerous buildings, be sure to see the the lavish Hall of Mirrors, the Queen’s bedchamber, the ecclesiastical chapels, and the King's Grand Apartments. If you love books, don’t miss the library, with its delicately carved wooden and stone panels. In the Clock Room, admire the famous astronomical clock encased in bronze. Arrive as early as possible to avoid long entrance lines. Even with advanced tickets, you'll have to wait your turn at the security checkpoint. Alternatively, book a local guide service to bring you to the château and skip the long lines altogether. 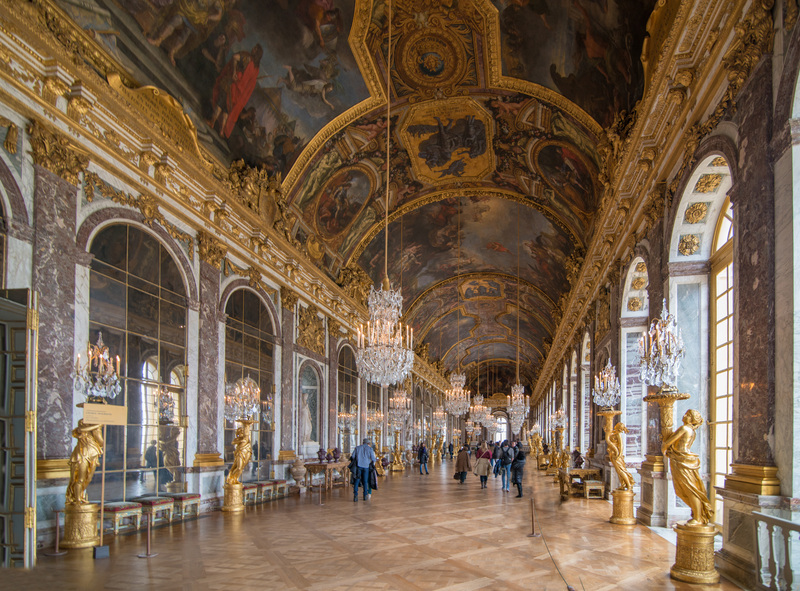 Make Palace of Versailles a part of your Versailles vacation plans using our Versailles trip builder site . From The Paris Bercy stop we made 1 hour to get there. We had taken out the Paris Museum pass with which you can enter many museums without waiting in line but not at Versailles. The line was huge and the palace didn't thrill us at all. If someone has gone to the Louvre and the Orsay Museum, it's not worth dedicating their day to it. It's like a palace with rooms with paintings. The Gardens were even more disappointing. They were Not groomed and did maintenance work. If you have time you better go to the war Museum which has much better and interesting things to see. If your are traveling to Paris only to see the Eiffel tower than your are missing one of the greatest attraction of Paris. The Versailles palace is one of the must visit place in Paris. But try to keep whole day for it, because it's very big and there are 3 places to visit inside. One is the King's palace second the garden and third the Queen's palace. And you can't miss any one room because every room have different attraction. People who love art and craft should not miss it. Hope to see it again in my life. Beautiful palace. I don't think it has so many things to see much inside when comparing with another palace in Vienna. However, this one looks amazing from the outside. The park and the back of the palace is great, I recommended you to visit just the park and take a photo from the outside of the palace. Nothing to see much inside if you have visited another palace in Vienna already.